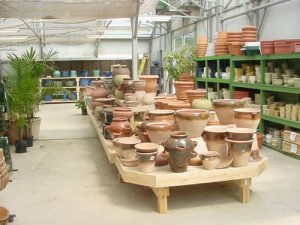 This garden center display kit is shown in natural cedar. 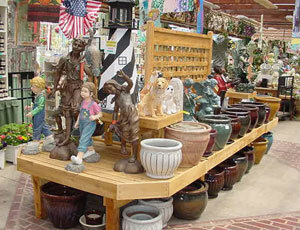 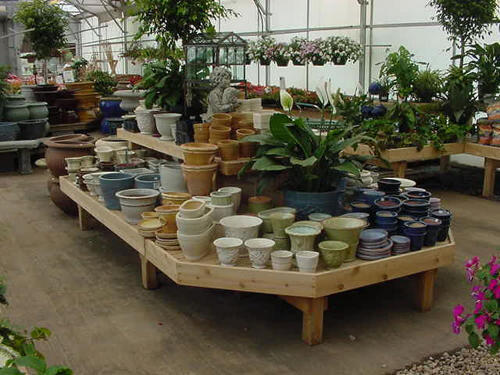 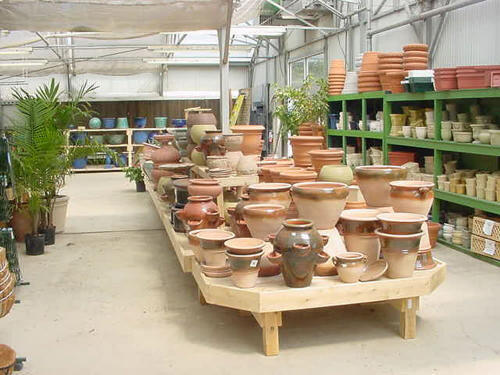 Many pottery display kits are stained or painted to create more contrast. 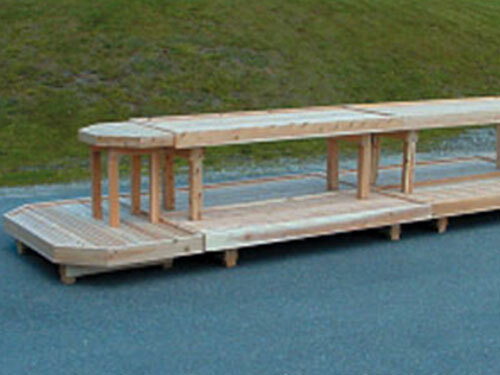 Dimensions: 22.6 feet long x 6' wide.